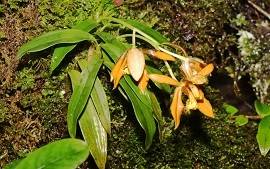 During their recent floristic explorations of the Yuanjiang valley collected an unusual species. After carrying out analysis, the researchers confirmed it as a new species and named it as Tsaiodendron dioicum. A new species, Premna bhamoensis Y. T. Tan & B. Li (Lamiaceae) was described and illustrated from Kachin State, northeastern Myanmar. A new stygobiotic genus with species: Karstodiaptomus sheni n. gen., n. sp. Karstodiaptomus sheni n. gen., n. sp. 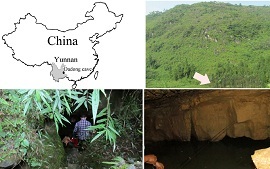 is a new stygobiotic species of Calanoida (Crustacea: Copepoda), described from a cave in Yunnan Province, China. The new species is named after Putao, the northernmost town of Myanmar near which it was discovered in a vast area of unspoiled mountain forest. CIB has made progress in the study of adaptive evolution of metacarpal in arboreal frogs and published the result on the journal of Acta Zoologica. The 3rd conference of the 1st Directorate of CAS-SEABRI was held in Kunming on 16 June, 2017. On 13th June, 2017,SARI, CAS and CAS Innovation Cooperation Center (Bankok) went to Myanmar to have a meeting with FRI to discuss the solar plate installation activity in CAS-SEABRI Myanmar Office. The rice research group of CIB went to Myanmar to implement the experiment of hybrid rice form June 6 to 11, 2017. Researchers of Chendu Institute of Biology visited CAS-SEABRI Myanmar office on 8th June, 2017. A 25-ha tropical forest dynamics plot is to be established within the Klong Naka Wildlife Sanctuary and the position has been determined.